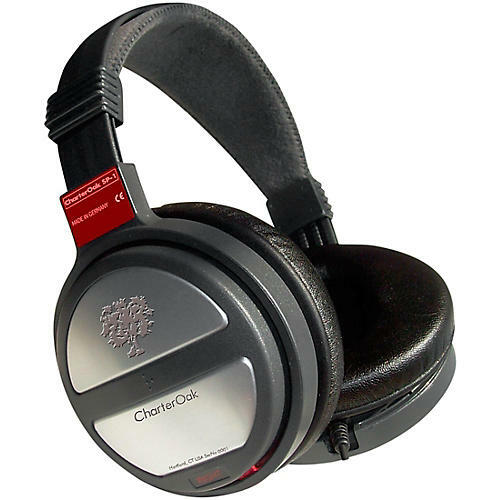 The CharterOak Studio Headphone (SP-1) is an acoustically closed headphone for studio use and music production. The 5-dimensional ‘CADAMATIC’ ear cup suspension ensures a comfortable, individual fit regardless of head size and prevents body noise effects from infiltrating the ear cups. Comfortable hygienic ear pads provide excellent insulation from outside noise without affecting wearer comfort over long periods of time. The SP-1 employs high-quality drivers featuring ultra-light sandwich diaphragms and copper-plated aluminum voice coils. All of these features make the SP-1 perfect for over-dubbing and mixing.